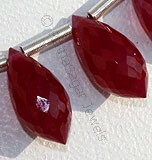 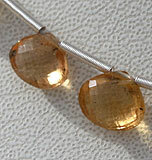 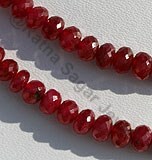 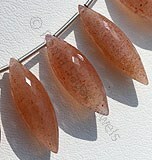 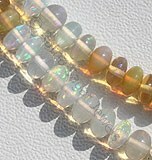 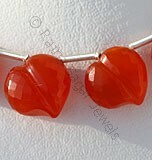 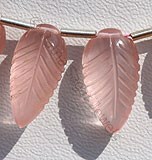 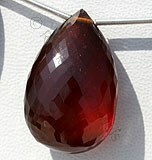 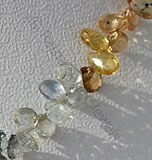 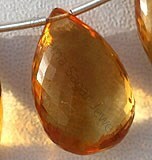 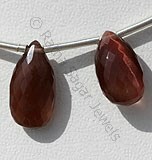 Buy our vivid orange Spessartite flat-pear Briolettes beads. 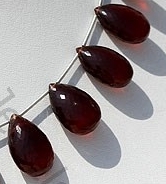 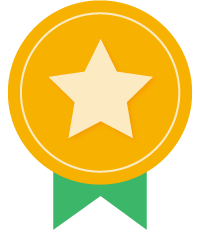 It is nothing less than collector’s items. 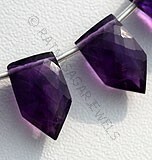 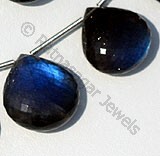 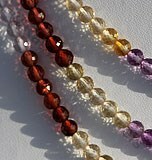 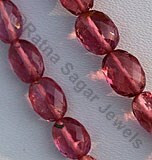 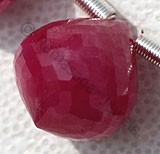 Gem lovers would love to include it in their collection. 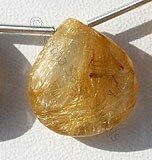 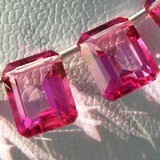 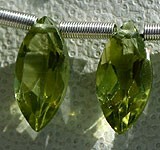 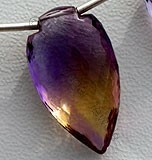 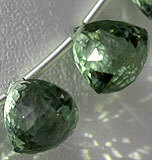 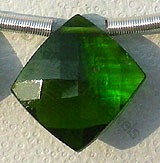 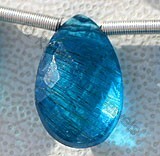 The radiating hues of Spessartite are captured brilliantly in a flat pear briolette. 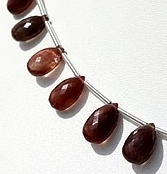 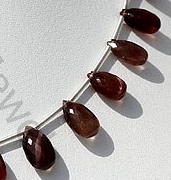 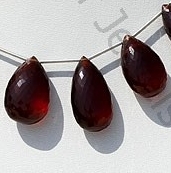 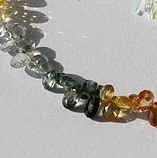 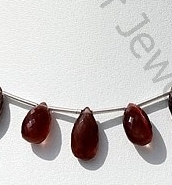 Browse through our online store to get Spessartite beads in an array of colors from reddish orange to brownish orange, or one with yellow tints. 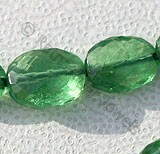 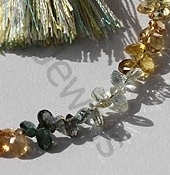 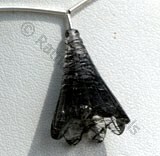 We also offer flat pear briolette in a variety of gemstone like Yellow Beryl Beads, Multi Sapphire Gemstone Beads, Cat’s eye Scapolite Beads, Apatite Gemstone Beads to name a few. 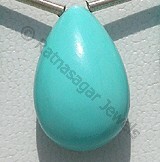 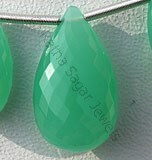 We offer superior quality designer range stones to our clients at highly lucrative prices. 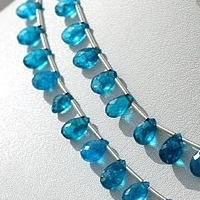 Come & explore our exclusive collection at our online gallery! 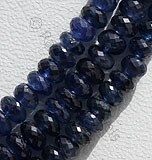 Multi Sapphire Natural Gemstone is a variety of color corundum, possess property of transparent with vitreous luster and are available in various colors with micro cut, Flat Pear Shape. 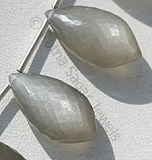 Natural Cat's Eye Scapolite Gemstone possess property of translucent and are available in grey with red brown color with cat's eye effect in Micro flower Cut, Flat Pear shape. 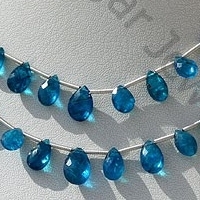 Apatite Gemstone is a variety of natural phosphate mineral, possess property of transparent with vitreous luster and are available in deep swiss-blue color with micro cut, Flat Pear Shape. 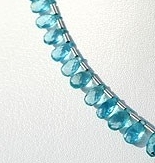 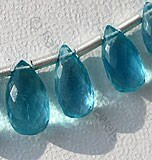 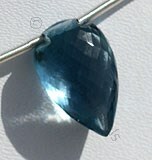 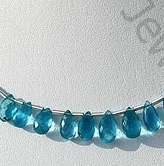 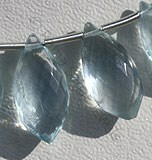 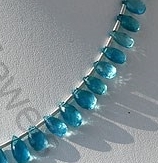 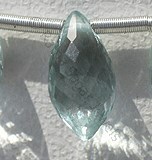 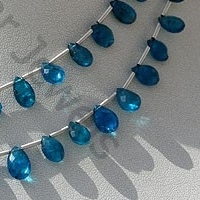 Apatite Gemstone is a variety of natural phosphate mineral, possess property of transparent with vitreous luster and are available in neon-blue color with micro cut, Flat Pear Shape.